Usually, brides are very confused when it comes to selecting the right outfit for their wedding day. With the numerous ethnic styles available, the choices are too many. Well, these days not only brides but also grooms have an array of options to choose from. Initially, sherwanis were the only attires which were meant for grooms but now even guys prefer to experiment and drift from the mundane styles. Sherwanis are now overdone and its high time grooms opted for some new styles. 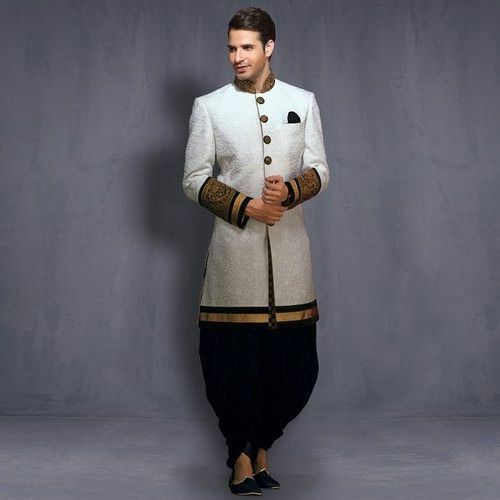 Indo-western attires are now very much in vogue for grooms. Indo western as the name suggests is the blend of contemporary and traditional. This fusion is perfect for wedding events too. Be it bottom styles or kurta patterns; this concoction is now possible for all outfits. You can get mind-blowing varieties of Indo western clothing online. Opting for Indo western outfits has several advantages. Here are the reasons why grooms should go for Indo western attires. Indo western outfits are easy to carry and are also comfortable to the core. For grooms who do not want to go for heavy-laden sherwanis, Indo western outfits are the best. These outfits can be worn for all events and are also ideal for all weathers. Once you choose an Indo western attire, you need not worry about being uncomfortable in an outfit. Indo western outfits are available in both online and offline stores. Attires of this style do not need much selection process because they are quite casual in their vibe. When it comes to colours and patterns, Indo western outfits are very flexible. 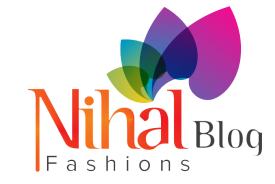 The best online shopping platform for Indo western outfits is Nihal Fashions. With the beginning of the wedding season and the festivals, investing in a traditional attire is a must. Indo western outfits are apt for engagement ceremonies, sangeet ceremonies, weddings and reception events. Moreover, these outfits can be worn for festivals too. If you are not confident about wearing a complete ethnic outfit then going for an Indo western outfit is the best decision. In the case of traditional attires like sherwanis and kurta pajamas, the groom might need to add some extra elements too. Generally, finger rings and bracelets are worn with the stated traditional attires but when it comes to Indo western suits, there is no need to go overboard with the add-ons. 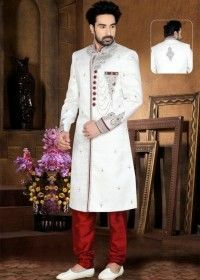 Indo western attires are meant to look simple and modern and therefore, not wearing other elements is completely fine. In most traditional outfits, there is no scope left for experimentation. Indo western outfits are quite unique in their look and design. For people who love to try something new with their style statements, Indo western clothes are an ideal choice. Selecting the right Indo western outfit for a groom is a tricky decision. One needs to select the appropriate style which suits the body type and blends with the vibe of the event. Here are some Indo western outfits which are a must try for grooms. Traditionally, sherwanis are worn as it is without any added attire. 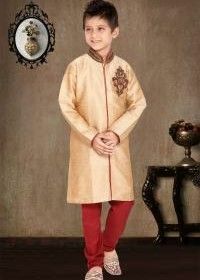 But if you want to go for an Indo western look then opt for a sherwani with a Nehru jacket. Nehru jackets look very classy and are quite in trend too. Perfect for reception like events and wedding ceremonies, sherwanis and Nehru jackets give out a very modern vibe. Nehru jackets are available in almost all tones and colours and they are easy to pair up with sherwanis. 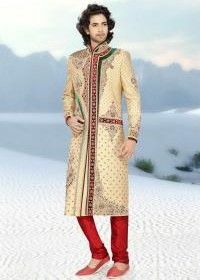 Make sure your sherwani is plain and simple if you are adding a jacket to it. Generally, a kurta is worn with pajamas or a dhoti but in order to give it a more modern look, you can go for straight pants too. Give yourself an Indo western look by pairing up a long kurta with straight pants. You might want to add an amazing pair of footwear to this combination to make it look perfect. Choose neutral shades when going for footwear. Kurtas are available in most colours and patterns, so it easy to pair them up with straight pants. The bottoms need not be of the same shade, they can also be of a contrasting hue. If you are looking for something formal, then go for an Indo western suit. Indo western suits are similar to formal suits when it comes to their look but they have a hint of traditionality. Indo western suits look extremely classy and stylish but one needs to carry this outfit with confidence. Don’t go for very bright colours in Indo western suits rather opt for subtle shades of blue, grey, beige, etc. Pair up this combination with formal shoes and you are bound to make a style statement for sure. Indo western suits for men are easily available online. See to it that the selected outfit matches your personal style and is apt according to your body type. Some suits might also contain a hint of embroidery to give the outfit a traditional feel! Once you invest in your Indo western outfit, it is also necessary to maintain it properly. Clean the outfit regularly, preferably through dry-cleaning or go for light washing without the use of harsh chemicals. Using too many cleaning agents can weaken the fabric and can also take away its shine. Head to Nihal Fashions for your Indo western look needs. Many grooms complain about how most of the wedding outfits are too expensive but with the amazing festive offers and discounts from Nihal Fashions you need not worry about going over budget. 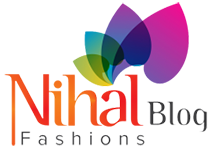 All outfits from Nihal Fashions are high in quality and are suitable for every pocket. 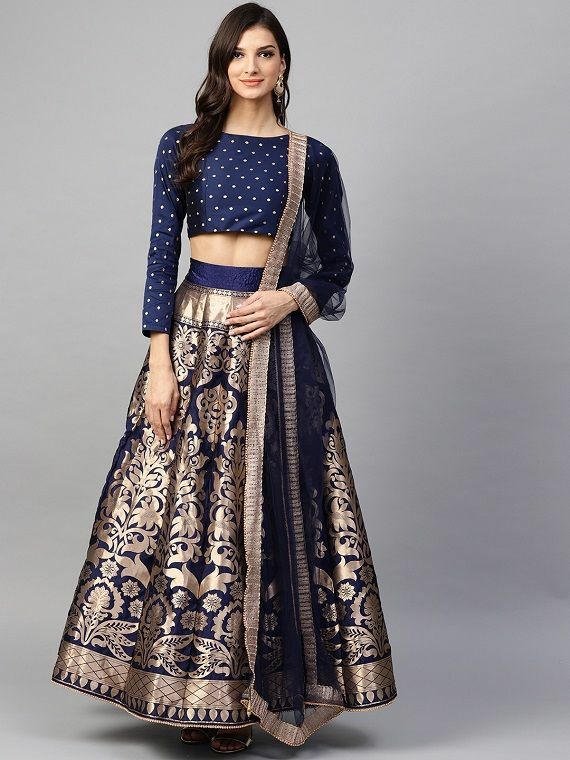 Nihal Fashions has some unique styles for Indo western outfits.